Lightning Systems, a global developer of efficiency and emissions improvement solutions for fleets, is now accepting pre-orders for its new zero-emissions LightningElectric system for Ford Transit. 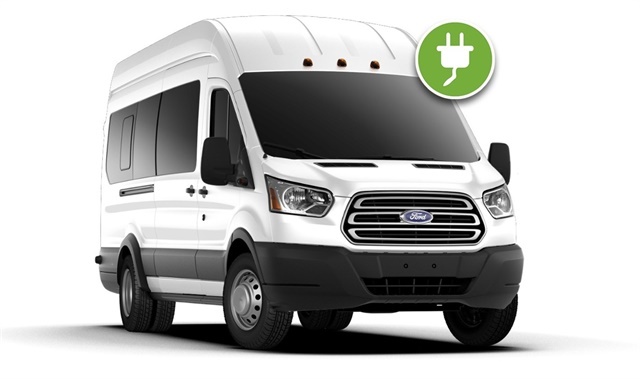 The LightningElectric battery conversion package is available for Ford Transit as part of Ford Motor Company's eQVM program. The product will be available first on heavy-duty Transits with a 10,360-pound gross vehicle weight rating (GVWR). Conversions and service are performed by Ford QVM-certified upfitters and dealers around the world. In the United States, the electric-vehicle conversion is $69,000 for vehicles with an electric range of 50 miles and $89,000 for vehicles with a range of 100 miles. Deliveries will begin in early 2018. Vouchers and grants are available in some regions for zero-emissions vehicles. "The new LightningElectric is an excellent choice for commercial and government fleets that would like a zero-emissions product that uses no fuel, but gets the job done with no compromises," said David Brosky, vice president of sales for Lightning Systems. "The braking and acceleration feels like a gasoline-powered Ford Transit. The vehicle is smooth and quiet with excellent performance and will please both drivers and passengers." Ford's vehicle warranty covers the base chassis for vehicles with the LightningElectric upfit, and Ford Motor Credit financing is available. Installation can be completed in just hours by certified installers. Featuring a state-of-the-art, liquid-cooled Lithium-Ion battery system from a volume-ready world-class battery supplier, LightningElectric will accommodate full charging in six hours with Level 2 charging and less than thirty minutes for DC fast charging. Depending on battery option and drive cycle, LightningElectric will have a payload capacity of up to 4,000 pounds. Lightning Systems worked with New Eagle on the design of the LightningElectric system for the Ford Transit. New Eagle specializes in mechatronic controls, which are the electronic brains that drive mechanical systems, and is a leader in the application of model-based design into real-time embedded systems in the fields of autonomy, electrification, hydraulics, and engine systems. Longmont, Colo.-based UQM Technologies has been chosen by Lightning Systems as its strategic electric-vehicle propulsion system supplier for its EV platforms. UQM will provide powertrain components for LightningElectric, including the gearbox, an electric motor, and the inverter, as well as software controls for optimum performance and efficiency. Both the LightningElectric and LightningHybrid systems are certified by Ford's new eQVM program. The program helps fleet and commercial customers meet their unique and specific needs for durable, reliable advanced technology work trucks that retain the original powertrain warranty and utilize Ford's vast dealer service network.